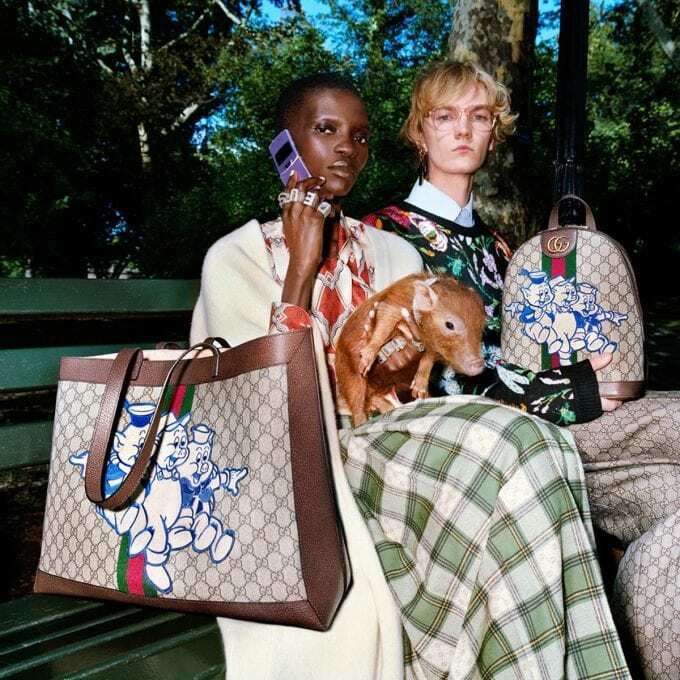 Whimsical illustrations, including Disney’s Three Little Pigs appear on Gucci’s Chinese New Year collection of accessories and ready-to-wear to celebrate the Year of the Pig. Gucci celebrates the Year of the Pig with a special collection of ready-to-wear and accessories featuring three playful designs including a print of Walt Disney’s cartoon characters, the ‘Three Little Pigs’. 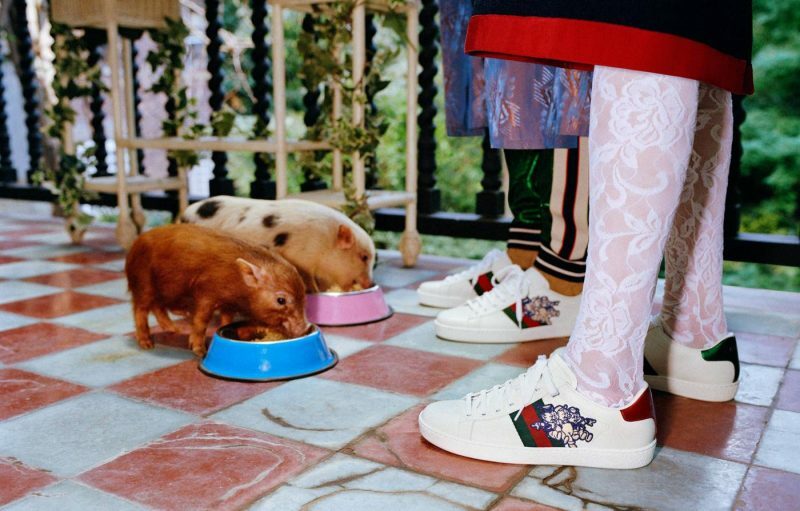 Shot by Frank Lebon, a special editorial shoot features tiny piglets with their human friends captured inside richly decorated apartments and walking the streets of New York City. 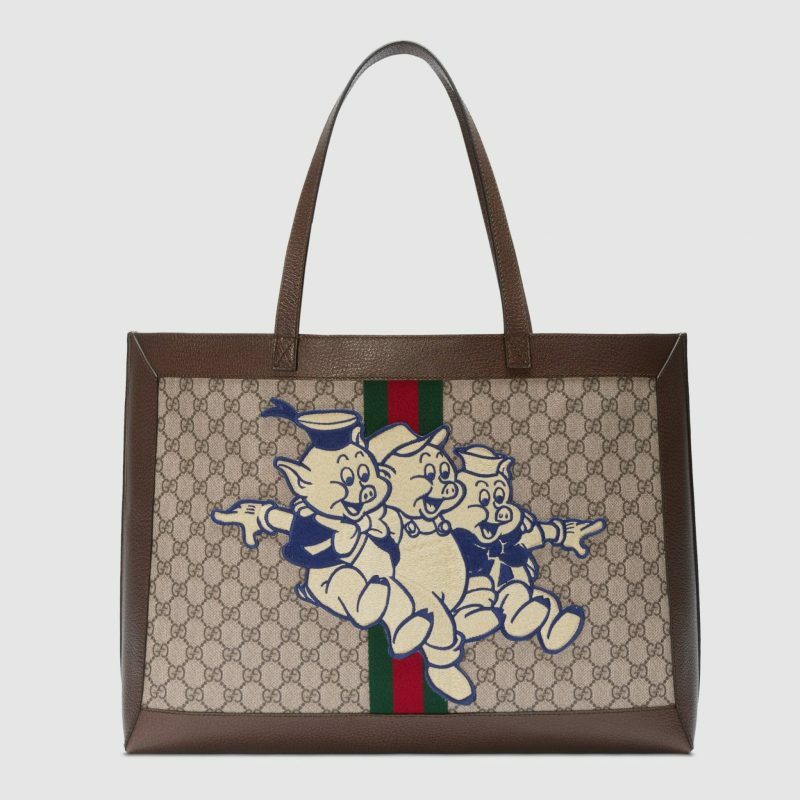 Made up of 19 pieces, the lineup’s illustrations feature Disney’s Three Little Pigs, which was first unveiled back in 1933. 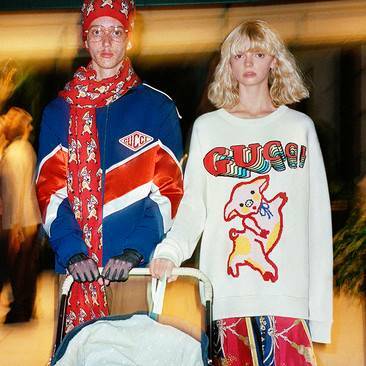 The collection sees men’s and women’s ready-to-wear items, shoes, handbags, luggage, small leather goods, trainers and accessories. 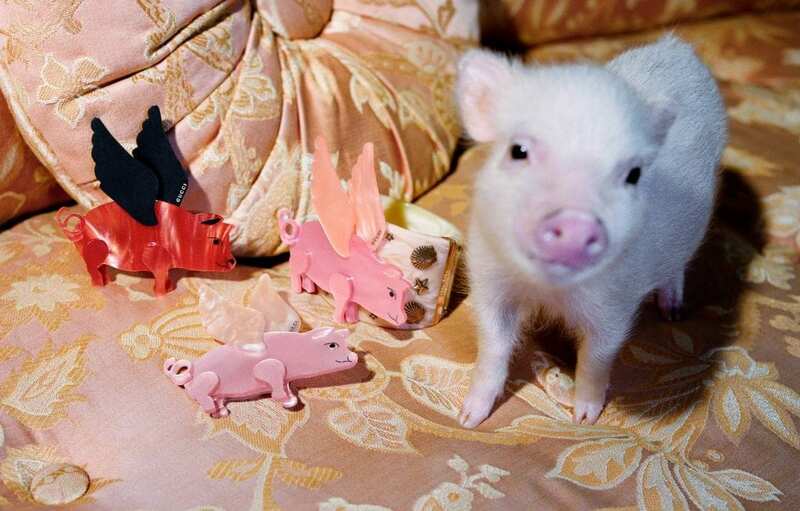 Standout items include the bold men’s piglet wool cardigan and the flying pig brooch, all embellished with the Three Little Pig animations. 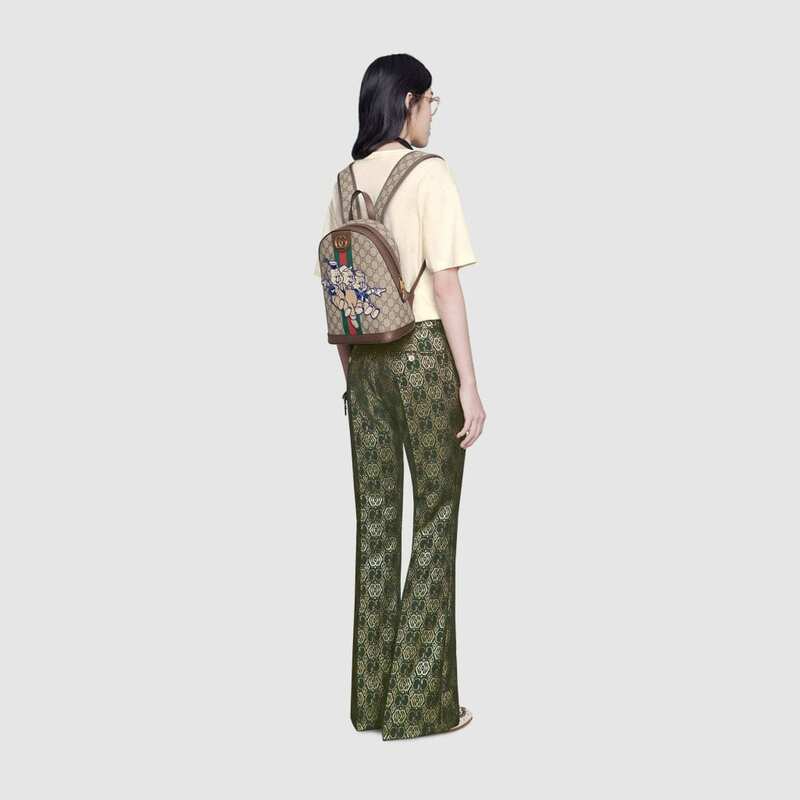 Prices start from $250 USD for the socks and go up to $1,980 USD for the backpack.